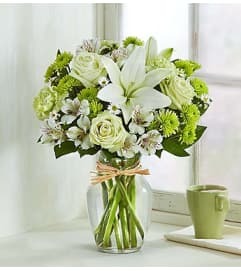 Send your best Easter wishes with our charming, garden-inspired bouquet! 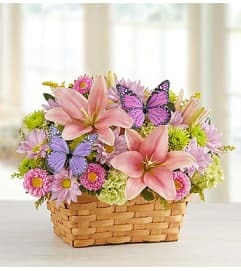 Vibrant tulips and roses are hand-arranged in a lovely split wood basket accented with a gingham ribbon for a fresh-from-the-meadow design. 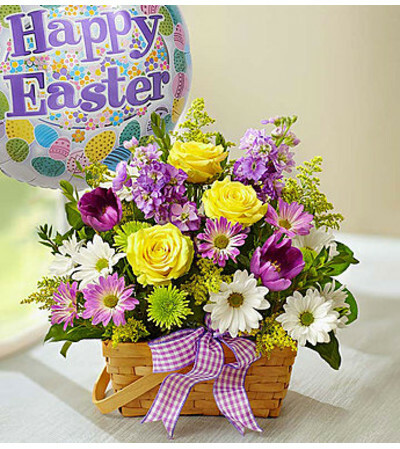 Accompanied by a festive balloon, this is a cheerful gathering perfect for display at your cheerful gathering!